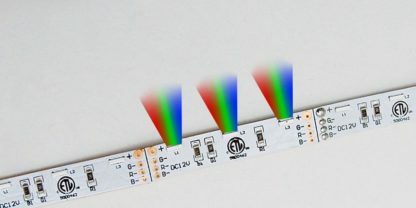 Side Emitting RGB Strip FA60M40-2.5M-SV-12V-RGB Triple Bright LED Flex Strip lighting comes in a 8.2 feet (2.5 meters) long roll with side emitting Epistar tri-chip 4010 SMD LEDs in an ultra-thin strip. 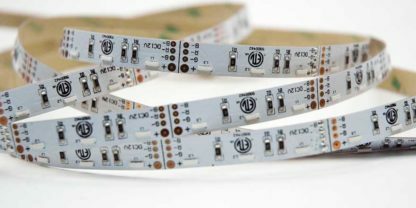 Standard RGB 5050 tri-chip is bendable on one axis emitting horizontally. 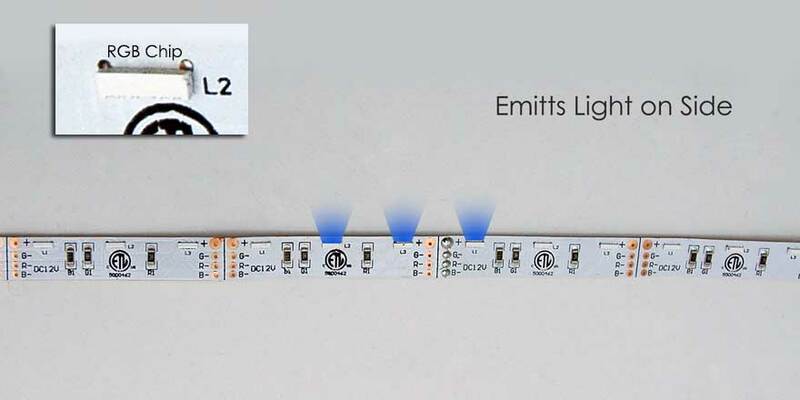 The New side emitting Epistar tri-chip 4010 SMD LED is bendable on the horizontal while emitting light vertically. This allow more unique use of the RGB lighting when outlining channel letters, unique shapes that require a perpendicular emitting light. 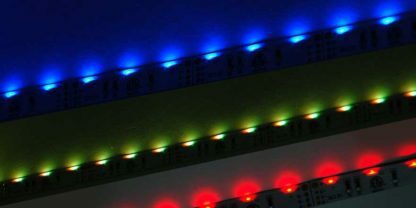 Triple Bright Side Emitting, Type A (IP20) Flex Strip is suitable for dry locations. 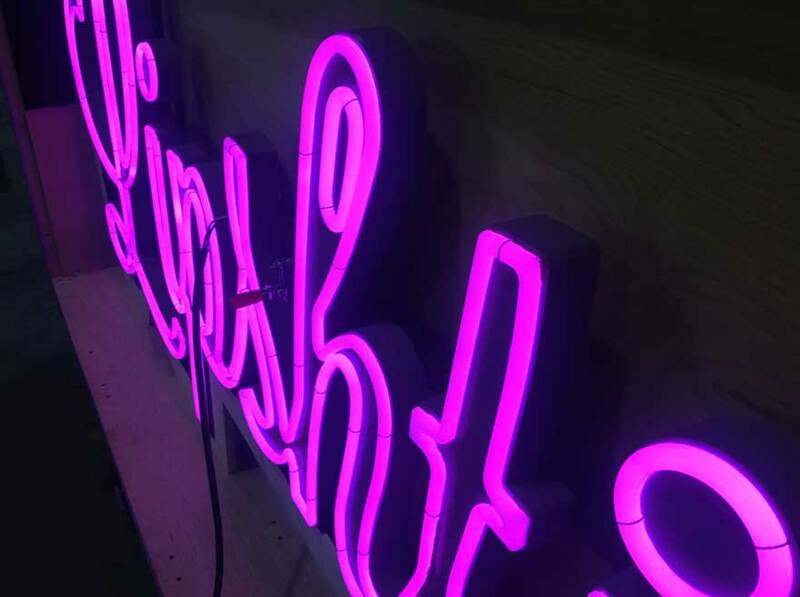 Designed for the lighting designers, this lighting can be used for sign letter lighting, bar lighting, stage lighting, perimeter lighting and many other applications. Use with any of our RGB Controllers to dynamically color control of the RGB strip lighting or multiple RGB strips VIA DMX or wireless smart phone app controls. See our color controllers tab for optional color controllers. Like our other LED Flex Strips, Triple Bright-Side has a 3M tape backing for easy installation. This strip can be cut to size by at each 3 LED intervals at marking points. The base of the Flex Strips are flat and flexible. Its small size and low voltage makes this lighting ideal for a wide range of applications. Please see PDF and instructions for further details.